Valentine’s Day Week of Love! To celebrate Valentine’s Day we will be doing a daily giveaway. By subscribing to our newsletter you will be automatically entered into the drawing. One winner will randomly be chosen each day. You will have 48 hours to claim your prize. All prizes have no cash value and are non-transferrable. 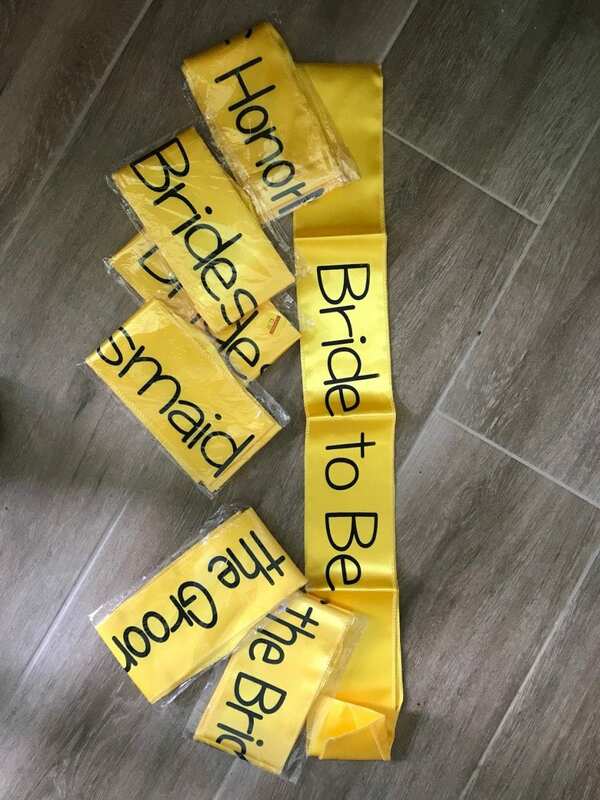 The winner will receive the following sashes for their bridal party. These are great for showers, traveling, bachelorett parties and more. The following will be included: Bride to Be, Maid of Honor, 3 Bridesmaid, Mother of the Bride and Mother of the Groom. A matching set of rhinestone and pearl barefoot sandals. These will complete your Florida beach wedding day look, one size fits most. 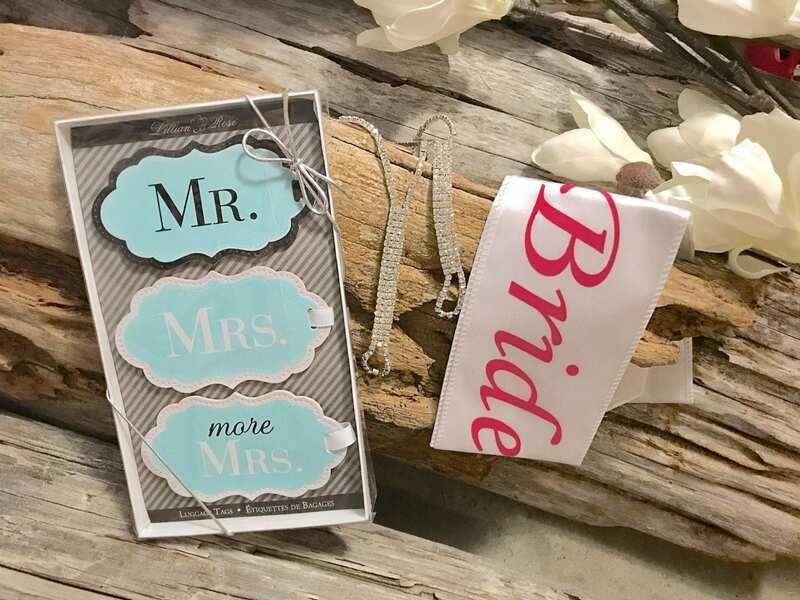 Luggage Tags, rhinestone barefoot sandals and a Bride to Be sash will have you ready to head down to Florida for your destination beach wedding ceremony with us. 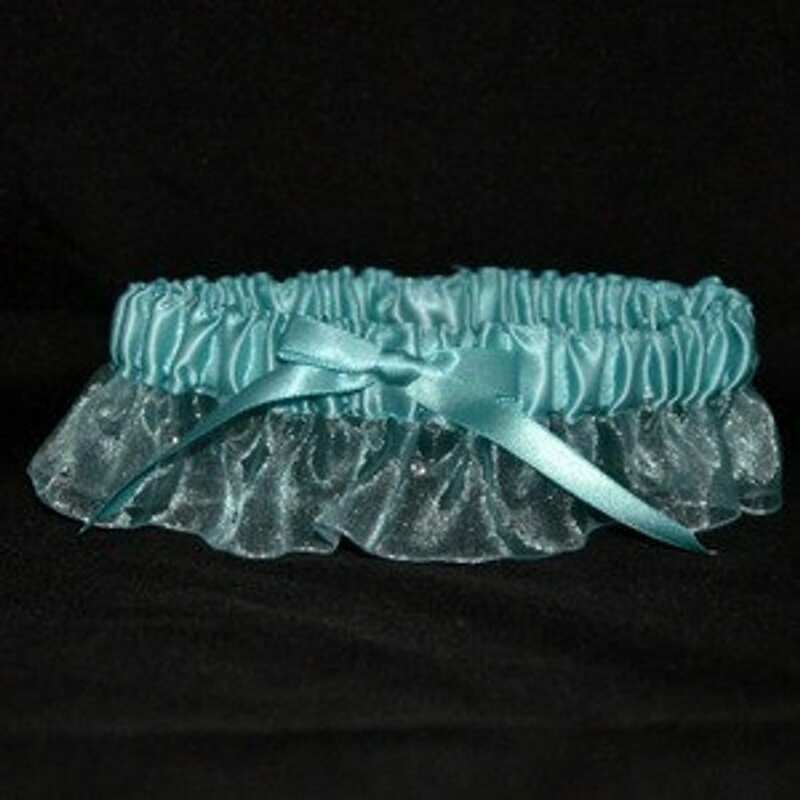 Aqua garter with rhinestone accents. Bring the feel of the tropical blues of the beach to your destination wedding and add this beautiful aqua garter to your wedding day look. 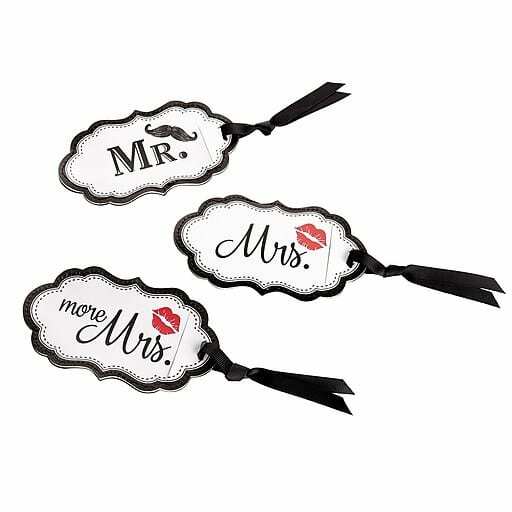 A set of luggage tags with Mr., Mrs. and More Mrs. with slots on the back for your information of your luggage. 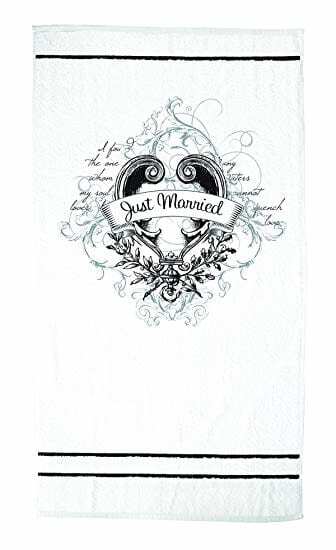 A just Married Beach Towel for you to bring on your honeymoon or use after your beach wedding ceremony as you soak up the sun as a newlywed.